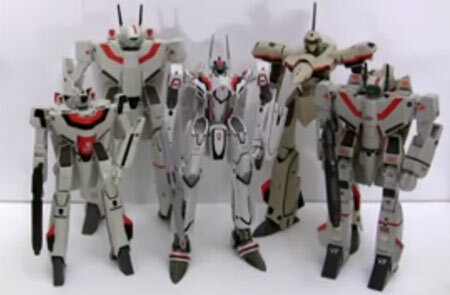 I've always been curious to find out how the Macross Toy line varied in sizes from one maker and scale to another. 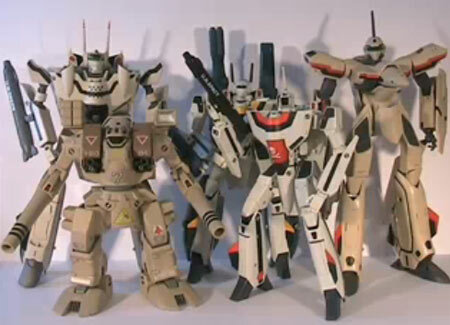 Luckily after watching Wizartars amazing Macross toy reviews at youtube I was able to find an answer to that question. 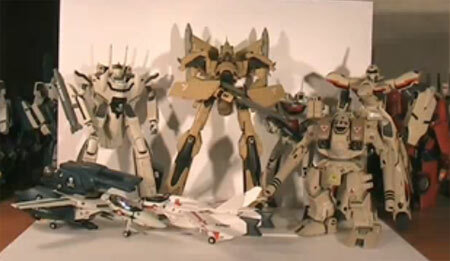 Tallest in the back is the 1/60 SV-51 from the Anti-UN Forces of Macross Zero. Toy was made by Yamato. I'm actually surprised on how big the YF-19 really is compared to the VF-25. I actually had the notion that as the Macross Universe progresses, that the Variable fighters of Macross would become bigger from one series to another. 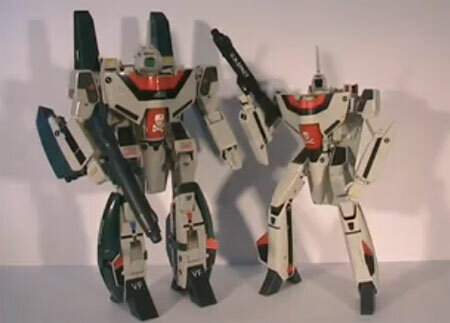 Then of course that was also shot down by the fact that the VF-1 Valkyrie is smaller compared to its VF-0S predecessor. This factoid helps when toy hunting as well as when planning your display case for your goodies.